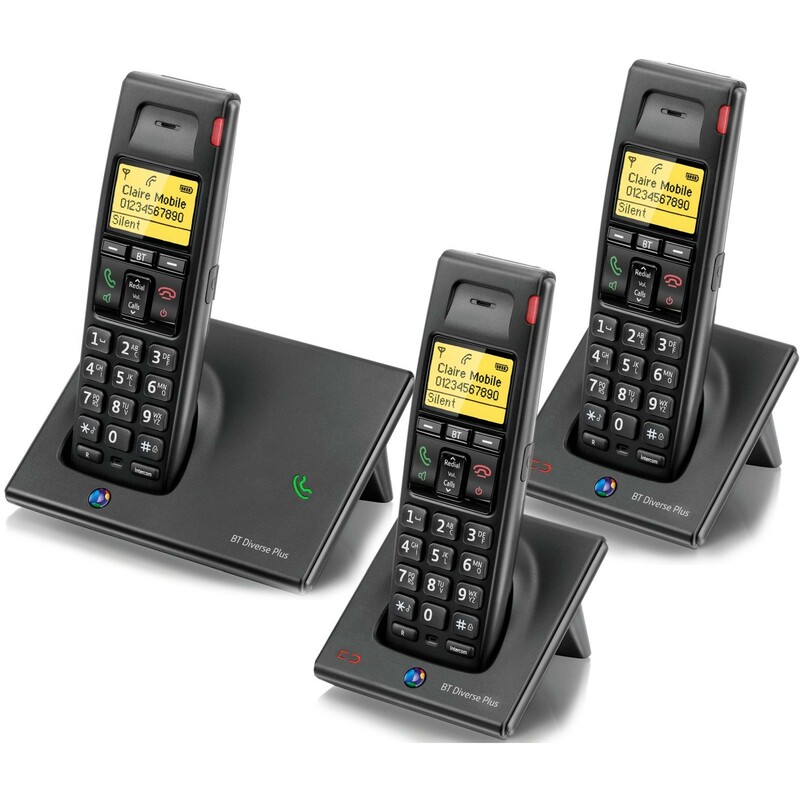 The Diverse 7110+ is a popular cordless phone from BT sporting excellent ease of use and a range of value-adding features including a large phonebook, a headset port and a speakerphone. This discounted bundle includes three handsets, though you can expand the system to have a total of up to six. Featuring a 4-line backlit yellow display with a contrast control, managing your phonebook is a quick and painless process, and there is space for up to 100 contacts. You can also cycle through the last ten phone numbers and configure eight quick-dial memories for your most important contacts. When you're on one of those longer phone conversations or you want others around you to be able to join in, you can simply press a button to activate the speakerphone. Alternatively, if you want to enjoy a hands-free phone call in private, you can connect any standard headset to the 2.5mm port provided. Why Should You Buy this Cordless Phone? This set of three BT Diverse 7110+ is ideal for larger homes and offices, and it is optimised to work with repeaters for situations where you need to increase the range.